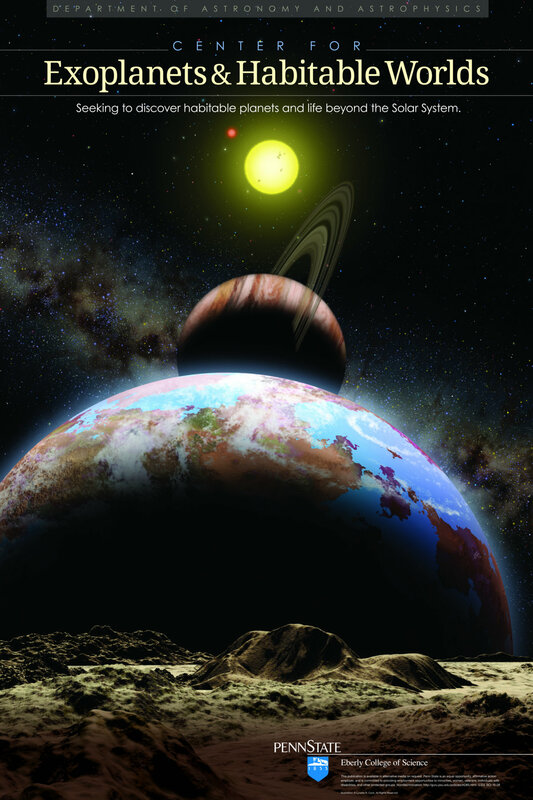 The Center for Exoplanets and Habitable Worlds seeks to discover planets beyond our solar system, to characterize planetary systems and their host stars, and to understand the implications of the abundance of potentially habitable planets for the possibility of life beyond Earth and the origins of our own solar system. The Center for Exoplanets and Habitable Worlds is devoted to broad, interdisciplinary research in this exciting, rapidly developing field. Members of the Center, who come from the Department of Astronomy and Astrophysics in the Eberly College of Science, the College of Earth and Mineral Sciences, and the College of Engineering, are experts in several critical areas of extrasolar planet research. The Department of Astronomy and Astrophysics also has substantial access to the Hobby-Eberly telescope, which is recognized as a premier planet-searching facility. The Center promotes collaborations among scientists at Penn State and between Penn State and other institutions, attracts young, capable researchers to Penn State, and provides a solid platform for a coordinated effort to improve science education on campus and among the general public.